This probably won't affect your day to day life (yet), but it's an interesting development nonetheless. 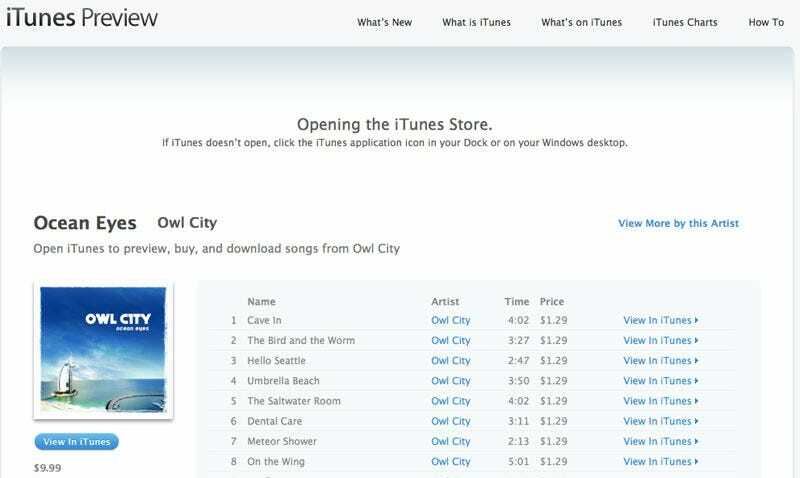 iTunes now allows you to window shop through your web browser. Called iTunes Preview, you can now access any iTunes music page through your browser by selecting "Copy Link" and pasting it Firefox, Safari, IE, whatever you use. At the moment, Apple isn't doing very much with iTunes Preview. Sure, you can view music (videos and other media not yet online), but to buy or preview anything, you're redirected into iTunes software. In that way, iTunes Preview really lives up (or down) to its humble name—it's a non-interactive preview of iTunes content for people who haven't loaded the software (as well as bloggers who'd just like to link a webpage rather than an app). But is it so crazy to imagine a day when Apple allows us to buy music free from the confines of their software?